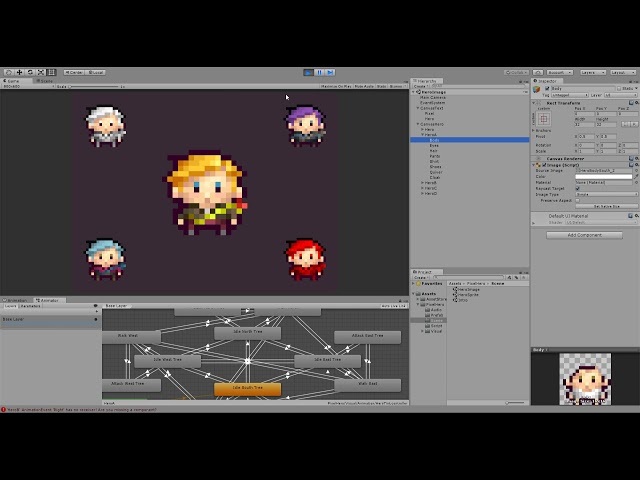 Includes 16 by 16 animated (Unity) pixel hero. Includes tintable layers for hair, accessories, shirt, pants and shoes. Included walk, two attack, and five idle animations (Unity) in four cardinal directions. The animation controller (Unity) will select a random idle animation each time. Included synced (Unity) foot step sounds.